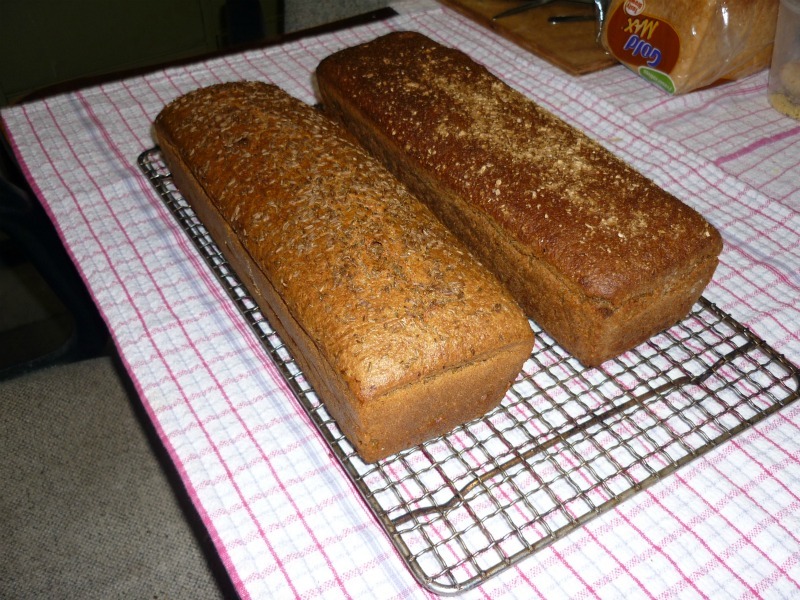 (an error on my part) the one with the rye flour is the one on the left. bulk ferment of 1 hour shape and put onto slippers. The plaits were a 3 plait @1kg with a 4 plait @ 1 kg on top mostly for visual effect but cut up at the patrons request. the red cup hold a foccacia that has been cut up too and all this before i get to my paid employ! 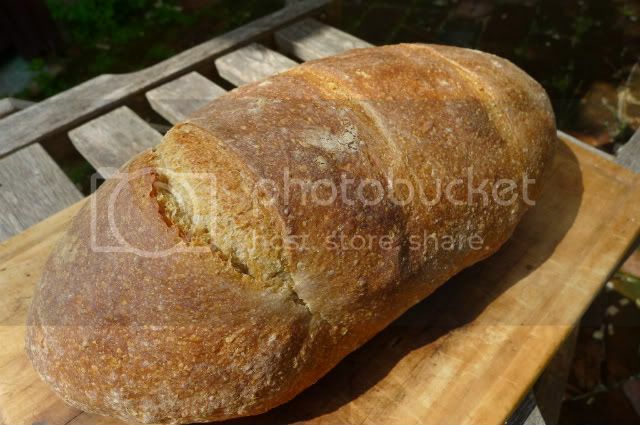 Really nice rye bread, Yozza. Did you add gluten to the dough? How did it feel, did it get elastic and kneadable? And did you really add 100 gr of baker's yeast? The 1 hour BF is required because of the time restraints to have bread ready in time for the restaurant lunch service. Both Ryes look lovely, Derek! Both Ryes look lovely, Derek! Great 70% Rye! You've baked all those loaves at the end? what an effort! 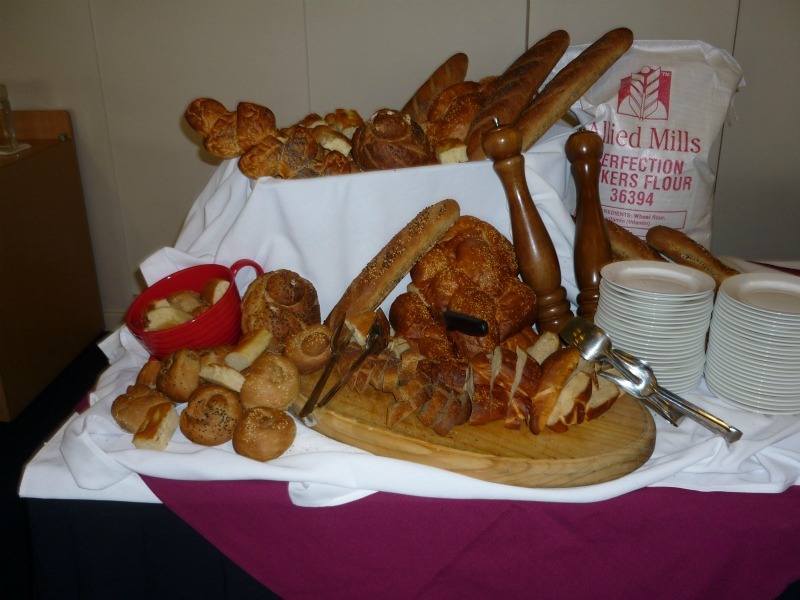 What a cornucopia of bread! Nice bakes, Yozza. 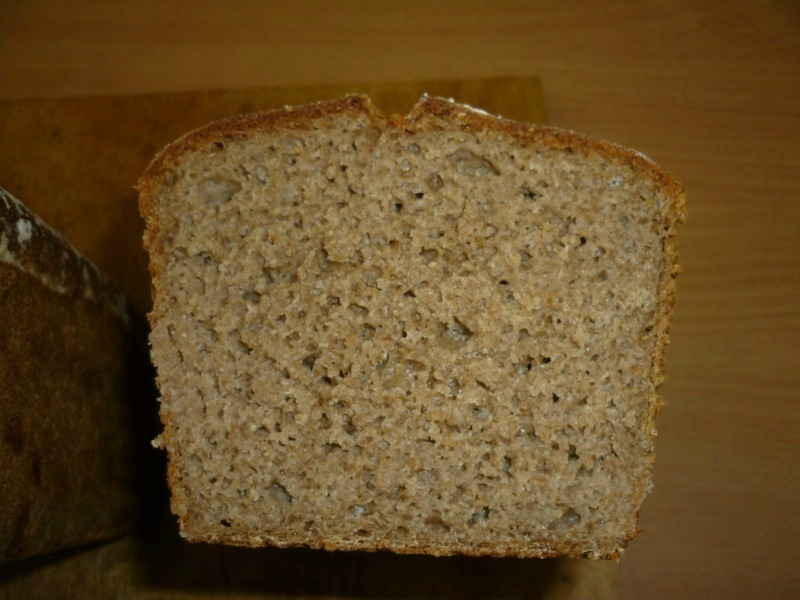 The rye is very impressive - I love the color and nice crumb you achieved. I agree the colour is very good as no other agent is contributing in that area, but i am thinking that perhaps my home brew stout might be just the thing to bring colour even further over to the darkside, and perhaps a marrige of two really good flavours that i like. watch this space! This is what I'd call 'doing' rather than trying Derek. 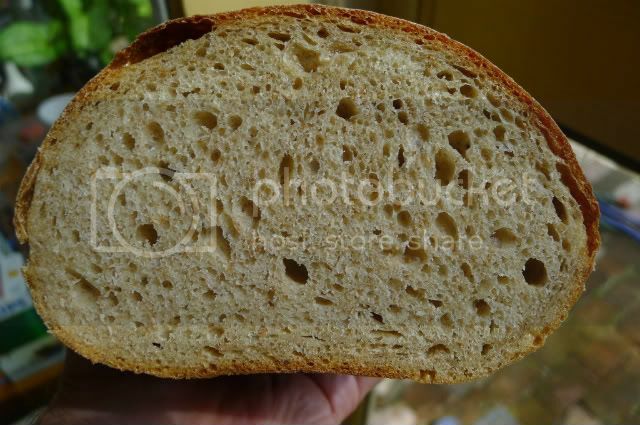 All really good looking breads you've made here and the crumb on both of your rye is spectacular. Nice baking! Thanks Franko i have been pleased and suprised with the crumb and lift that has been achieved . 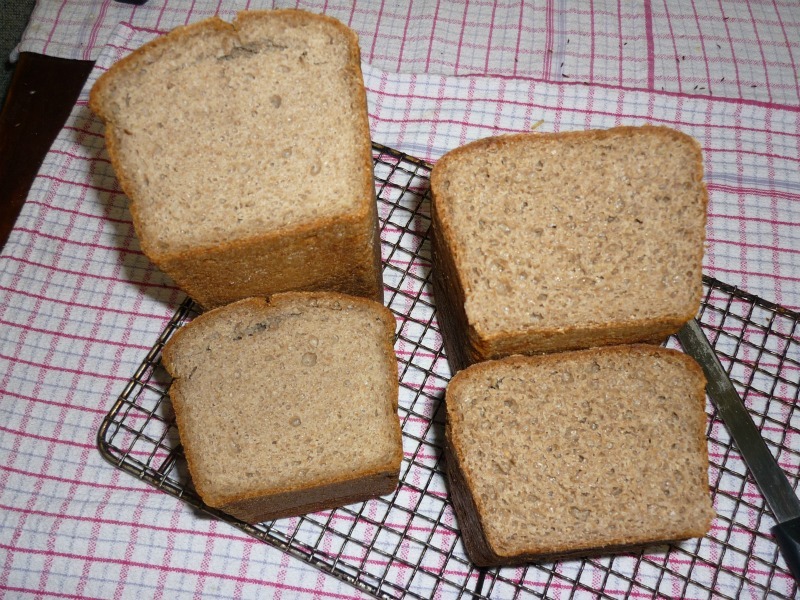 I must take a loaf to my mate up the road that is baking commercially as he says that he is looking for a good heavy rye, As i said to Larry i will try them again but with my home brew stout as the liquid content and soak the ryemeal over night. ...that idea of subbing your home brew stout for the water is very exciting. Good chance it will bring up the flavour to an astonishing level. Look forward to your report. 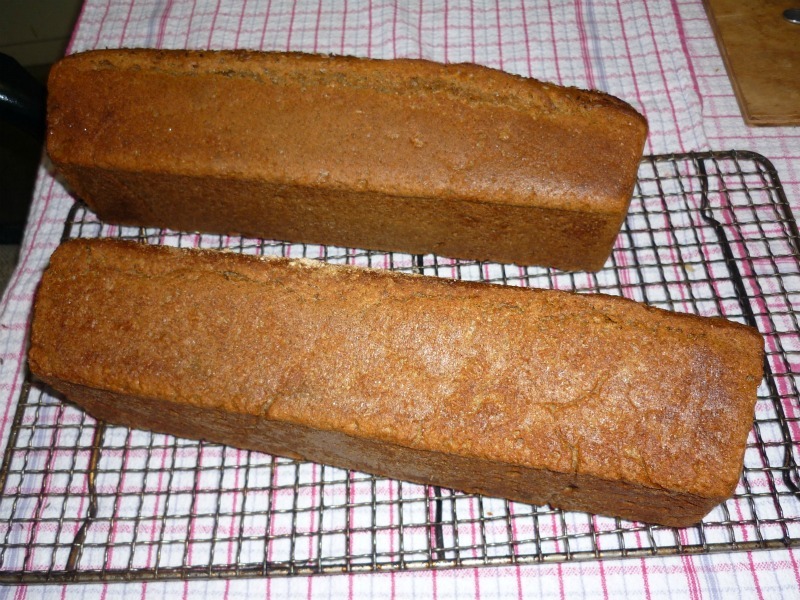 I've got a heavy rye proofing as I type, using the last of the organic rye meal you gave me. It's ridiculous, but thinking about it last night I was so revved up with anticipation that I couldn't sleep! Had to go out during the final proof and was delayed getting back by more than an hour, so this one was over-proofed. Usual symptoms...bit bubbly under the crust in some parts, slight compression observable at base of crumb, uneven spreading of slashes (but a terrific loft to the rise, surprisingly). All in all, not the most handsome of ryes, but glad to report that the flavour was really lovely despite the imperfect proofing. We finished off the loaf for lunch today, thin-sliced and toasted, spread with butter and topped with smoked salmon and finely-sliced red onion. Just delicious. PS: Used the last of your rye meal for the rye component, Yozza. 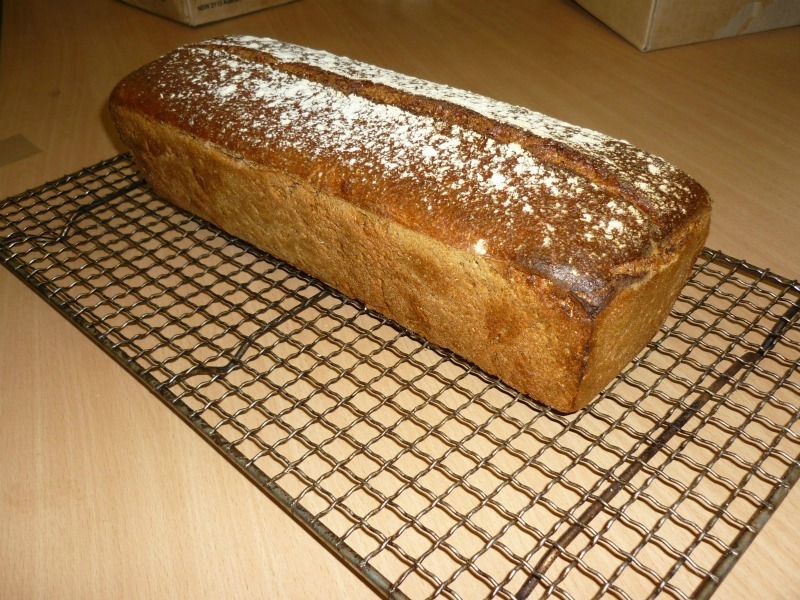 Well done Ross looks good and the loaf has held its shape nicely especially as you are thinking it was overproofed.